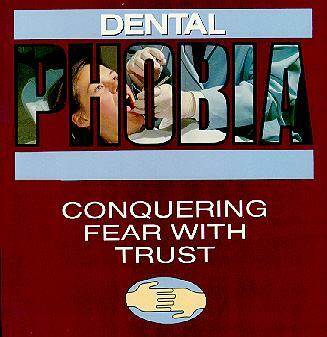 What do you fear most about going to the dentist? Just the thought of having a needle inserted into your cheek and a cavity removed from your tooth is enough to bring tears to the eyes. However, surprisingly it is not the actual dental procedure that most often terrifies patients. According to surveys, the site of a needle and the sound of the drill were the two most feared elements of dentistry. In our office we have used the Painless Injection for years. It may seem strange, but visual stimuli, sounds and even memories can actually enhance pain. In fact, fear and anxiety related to dental procedures very often complicates matters. It is comforting to know that just as the mind can trick you into interpreting sights and sounds as pain, so too can the mind be used to control pain. In this article, we will explore the reasons behind the severity of dental discomfort and offer options for its control. Dental Pain - Is It All In Your Head? The first step in managing or eliminating the discomfort involved with going to the dentist, is understanding its source. In many cases, the myths about dental pain often outweigh the realities and the anxiety caused by these myths further intensifies the pain. In addition to the perceived pain brought on by intimidating sights and sounds, other factors such as your state-of-mind can effect the level of discomfort experienced. A high level of stress and irritability makes it more difficult to control pain. Although the reasons are not fully understood, the effect of anxiety on the body's ability to suppress pain is significant often requiring that the patient be premedicated with anti-anxiety drugs such as Valium. Because of the oral cavity's proximity to the brain, as well as the complex nerve structure of the head and neck, dental pain is often more severe than pain in other parts of the body. Of the 12 cranial nerves that control motor and sensory functions of the head and neck, the Trigeminal Nerve or 5th Nerveis responsible for sending pain signals to the brain. The Maxillary Nerve and Mandibular Nerve sections of the Trigeminal Nerve relay pain signals from the upper and lower teeth. One of the most troublesome biological factors that dentists must deal with is bacterial infection. In addition to the sensitivity caused by infections, the initial inability of oral infections in the teeth and boney structures to drain results in the build up of pressure. As bacteria quickly multiplies and produces gaseous toxins, pressure increases and pain results. If an infection is neglected for even a day or two, the pressure can become intolerable. For some straight forward dental procedures, controlling pain and fear can be controlled by utilizing relaxation tools such as Nitrous Oxide or Hypnodontics. However, other more complex procedures, such as surgical scaling and root canal therapy, require nerve blocks in combination with relaxation therapy. Of course, the most important way to reduce the pain involved in maintaining oral health is by focusing on preventive care instead of the treatment of problems. If you've put off going to the dentist for years and have neglected regular flossing or brushing, you may be experiencing advanced stages of tooth decay or gum disease - both painful problems. The further decay spreads, the more radical the treatment required. This causes trauma to the tooth and gums that results in discomfort. Dentistry has come a long way over the last few years and many of you will be surprised on your next visit. Even if you have put off going to the dentist and are experiencing problems, your dentist has new ways to provide relatively painless treatment. For invasive procedures such as wisdom teeth extraction, biopsies and complex root canal surgery, nerve block are often administered. This involves the injection of an anesthetic to block sensation to the nerve that sends pain signals to the brain. By blocking the nerve with an anesthetic, the dentist can numb the area requiring treatment for a specific period of time. To eliminate the discomfort associated with injections, topical agents are applied to tissues prior to the injection. This combined with the use of Nitrous Oxide or "laughing gas" for relaxation can often reduce the pain, fear and anxiety associated with shots. Although still experimental, laser technology may soon change the way dentists treat tooth decay. Currently, lasers are being used for soft tissue management and in other areas of medicine such as eye surgery and skin treatments. However, in some laboratories, dentists are attempting radical new treatments involving the use of lasers to melt cavities. While initial efforts have experienced only moderate success, the use of laser technology could someday eliminate the need for intimidating drills and surgical instruments. Although somewhat controversial, many dentists today coach their patients in hypnodontics - a form of hypnosis to control dental pain. Through the combination of Nitrous Oxide and deep relaxation techniques, patients can be relaxed to ease anxiety. For those who prefer to limit the use of pain medication, practicing deep relaxation techniques to reduce stress and building a strong relationship with a dentist you respect and trust can go a long way towards a relatively painless dental experience. A soothing atmosphere and a calm, reassuring dentist can make your next dental visit more pleasant.